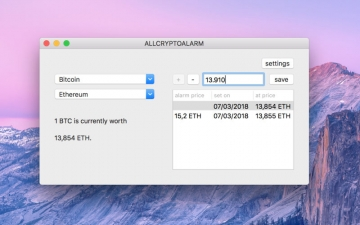 [無料] ALLCRYPTOALARM | Mac App Storeのアプリ検索・ランキング BuzzMac! 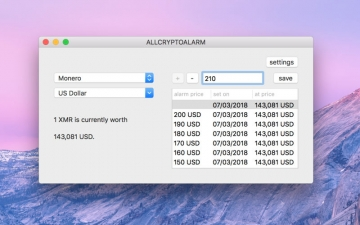 ALLCRYPTOALARMS offers you an easy to use App to follow the prices of your relevant coinpairs. Very simple to use! 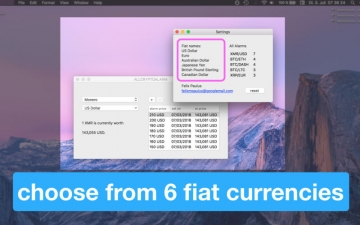 Set several alarms for any two pairs and get instantly notified when prices rise above or fall below those limits. 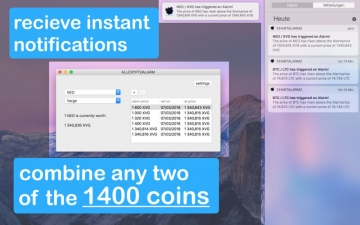 ALLCRYPTOALARM includes over 1400 coins and 6 fiats to compare against each other. Stay up to date while focussing on other more important things. 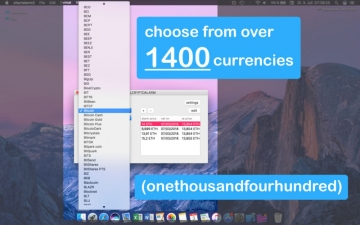 BTC, ETH, EOS, XRP, LTC, NEO, XMR, ADA, TRX, DASH, BCH, XLM, ETC, QTUM, ZEC, XVG, LSK, WAVES, GAS, and so many more!